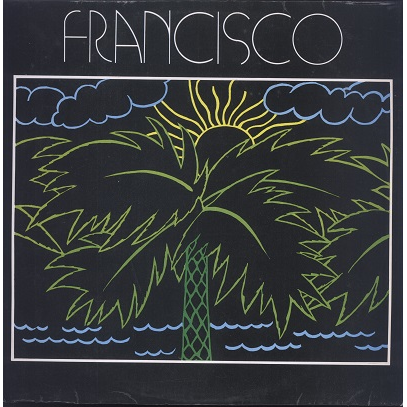 Rare album by Martinican pianist Frantz Charles-Denis AKA Francisco. He was famous for his 'Biguine-Lélé' style, melting Biguine and traditonal Bélé drums, and was also incorporating elements of Afro-Cuban music and Latin Jazz. This LP is actually a repress of his rare first album 'Sous Le Ciel Des Antilles' (HPR50) recorded in the early 70's. I guess it was re-released to provide better exposure but it shows a different artwork and last track is missing -otherwise it's the same tracklist.